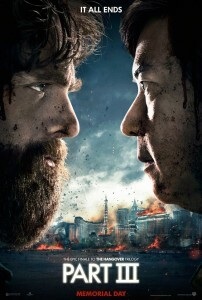 The first official teaser trailer for The Hangover 3 is coming tomorrow!!!!! Until then, here is teaser of the poster for now with Alan and Chow. I have been waiting for this movie since The Hangover 2 and when this was announced. Huge fan of the movies and Bradley Cooper. Now play the trailer below! Yup, another movie trailer for a movie that I want to see this year. This time with Vince Vaughn and Owen Wilson that end up joining Google’s Internship! I’m in!